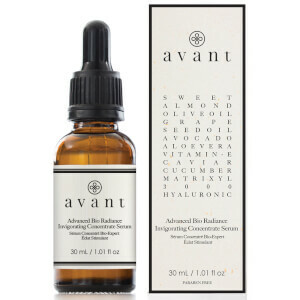 Rejuvenate your complexion with the Advanced Bio Radiance Invigorating Concentrate Serum from Avant Skincare; a brand that utilise natural ingredients and carefully selected science-based actives to firm and protect. Fortified with Hyaluronic Acid and innovative Matrixyl 3000, the anti-ageing formula delivers intense moisture and hydration, whilst minimising the appearance of fine lines and wrinkles for a smoother, younger-looking complexion. Antioxidant Vitamin E defends against UV damage, as Caviar Extract helps to shield from pollution and environmental aggressors. 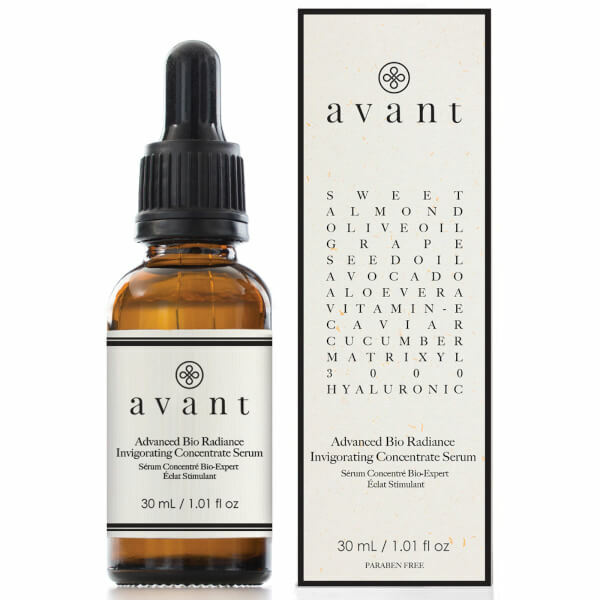 A unique blend of oils, including Sweet Almond, Grape Seed and Avocado, provide vitamins and essential fatty acids to strengthen and nourish. Skin is radiant and revitalised with improved texture and tone.